Amazon has introduced a new Alexa-powered device that’s essentially free to Prime members. The Amazon Dash Wand costs $20 but, for a limited time, buyers will receive $20 worth of Amazon credit once they purchase and register the product. The Wi-Fi enabled kitchen assistant, available exclusively to Prime members, allows you to order groceries by scanning barcodes or using your voice, control your smart home devices, and access thousands of other Alexa skills. Amazon does note, however, that unlike other Alexa-enabled devices, this one can’t play music. The Wand connects to your Amazon account for adding items to your shopping cart. It works in conjunction with AmazonFresh, and buyers get a 90-day free trail of the grocery service, which usually costs $14.99 per month. Not only does the Wand look stylish, but it’s also water-resistant, durable, and magnetic so you can attach it to your fridge. 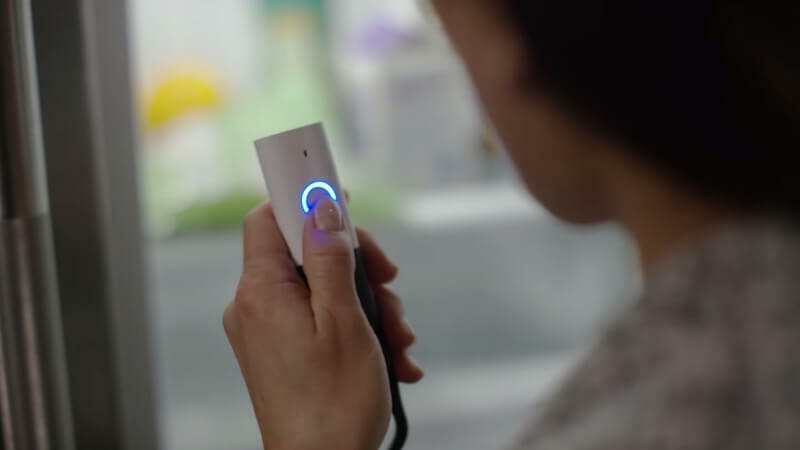 The first generation of the Dash Wand was released in 2014, though it didn’t have Alexa integration and is now listed as unavailable. The Dash Wand is the latest Alexa-powered product unveiled by Amazon. The Echo Look is a $199 smart speaker with a built-in camera that offers fashion advice using machine learning algorithms, while the $230 Echo Show adds a touchscreen interface for new Alexa capabilities. You can order the Amazon Dash Wand here. Check out this page for the terms and conditions.